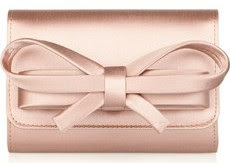 Valentino satin bow box clutch, $845 at Net-A-Porter. Simply adorable. This Valentino clutch is ultra feminine, so delicate and absolutely pretty. 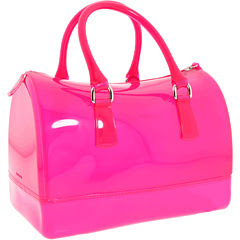 Furla 'Candy S Bauletto' satchel, $195 at Zappos Couture. Oh this is nothing. I just wanted to brighten up your day by showing you this Furla satchel in hot pink color. Staring at it for a while made me wanna sip a cold glass of four seasons juice. 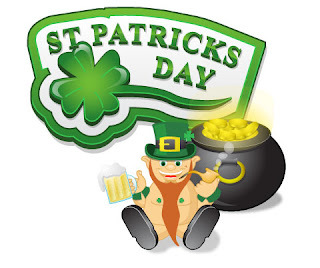 Here are some green but gorgeous bags that will remind you of this day and hopefully will attract luck in your life. 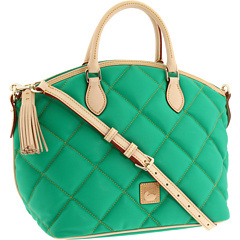 Dooney & Burke 'Spicy' quilted satchel, $188 at Zappos. 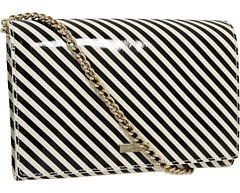 Love Moschino 'Mosquilted' shoulder bag, $255 at Zappos Couture. 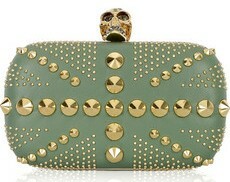 Alexander McQueen 'Brittania Punk' studded box clutch, $1,495 at Net-A-Porter. 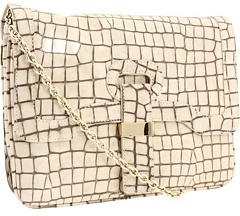 Proenza Schouler PS1 large croc satchel, $14,500. Uh huh! 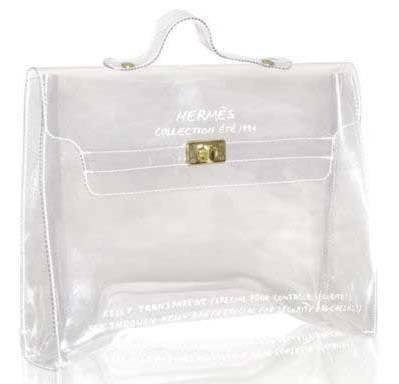 A Hermes clear 'Kelly' bag exists and it is from the brand's 1996 collection. Looking at it takes me back to the time when bringing transparent umbrellas, wearing jelly slippers or sandals, and bringing clear bags at school are the coolest things ever. And Rare Vintage is selling it. Christian Louboutin 'Marianna Rider' coyote tote, $2,145 previously $3,059 at My Theresa. So furry, so cuddly, so huggable... so expensive. Marc Jacobs 'Ossie' braided shoulder bag, $615 previously $1,519 at My Theresa. 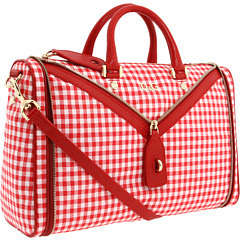 This great bag from Marc Jacobs can be your best pal from Spring to Summer. Its size is perfect to fit all our sunny day essentials. 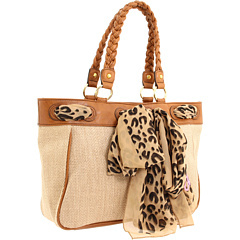 It is made of braided leather, single strap, snap flap closure with cognac tone ball detail to make it more special. 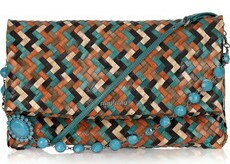 Botkier 'Charlotte' clutch, $375 at Zappos Couture. This Botkier crocodile embossed leather clutch can be converted into a shoulder bag. Carry this to a party and if you feel like dancing, just take out the chain link strap and you will never have to worry about losing your valuables in the crowd. 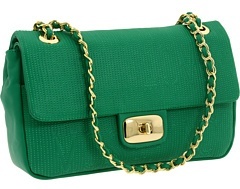 Miu Miu woven leather shoulder bag, $1,495 at Net-A-Porter. 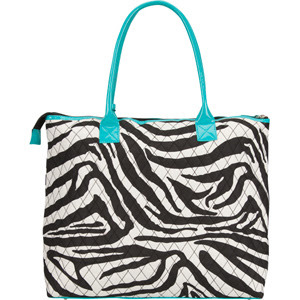 This bag has the perfect color combination for Summer. It is made of multi-color woven leather, turquoise leather strap and beaded strap that you can remove and wear as a necklace. Perfect, isn't it? 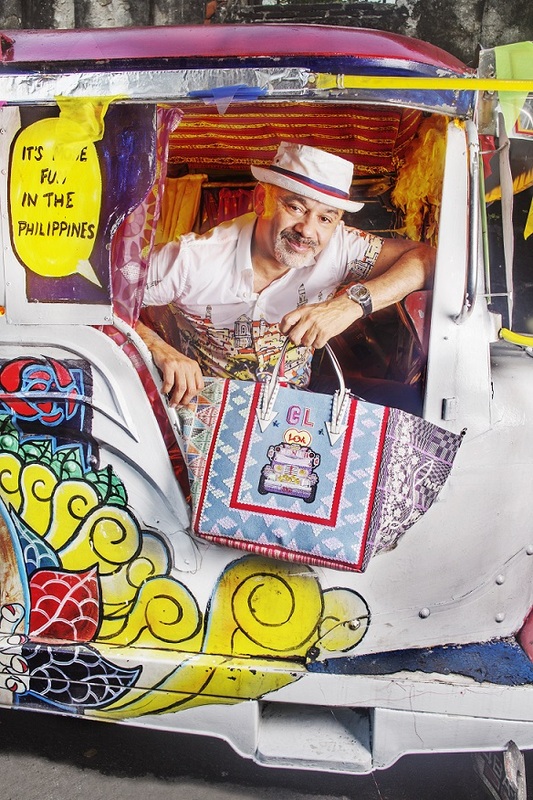 This leopard is kinda angry on Aldo because their 'Dejong' tote is stealing the show. Aldo 'Dejong' tote, $45 at Zappos. 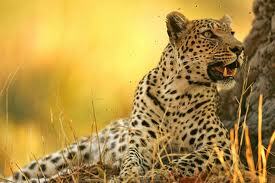 Can you blame the poor leopard?